Dr. Meeta S. Pancholi always appreciates feedback from her valued patients. To date, we’re thrilled to have collected 163 reviews with an average rating of 4.98 out of 5 stars. Please read what others are saying about Dr. Meeta Pancholi below, and as always, we would love to collect your feedback. I actually had an enjoyable experience here and would recommend this practice to anyone. I can't praise Dr. Pancholi enough! My eight year old daughter needed laser surgery to both feet and the doctor was so very kind and patient with her. I would highly recommend Dr. Pancholi for any podiatry issues. She has treated my husband in the past and my mother in law also scheduled to see her soon after hearing how wonderful she was with my daughter. friendly, very little wait time and a great staff. 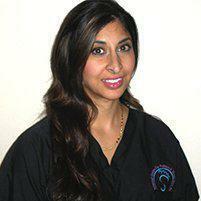 Dr. Pancholi is very knowledgeable, up front with her diagnoses and I love her personality and sense of humor. Thanks Doc!! !